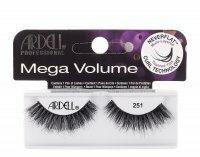 Mega Volume by ARDELL. 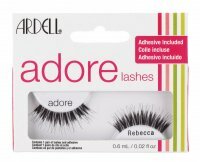 Eyelashes on a strip. They have curled, pointed hair and increased volume, which guarantees a distinctive and dramatic effect. 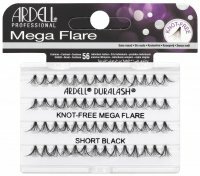 Their length can be adjusted with scissors. The product will be a perfect complement to your evening make-up. 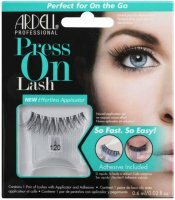 The eyelashes were designed for repeated use. They guarantee efficient and problem-free application. Available in 4 variants. Perfect complement to evening make-up.